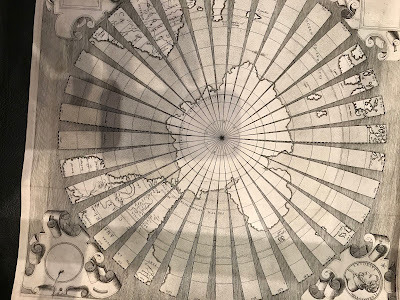 Last month I visited the Map & Atlas Museum of La Jolla. 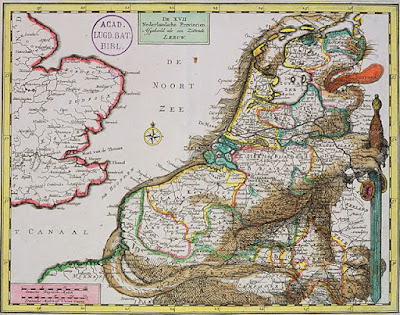 They have an impressively large collection of original maps and many of them are of significant historical importance. 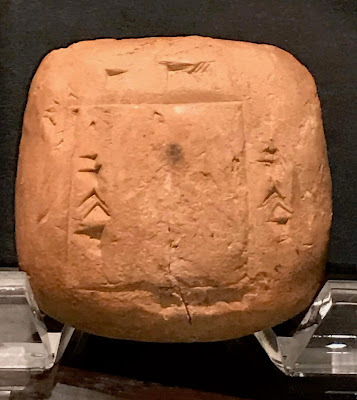 For example, here is one of the earliest recorded maps - baked onto a clay tablet. It shows a parcel of land with ownership and dimensions in cuneiform. On the back are field measurements. 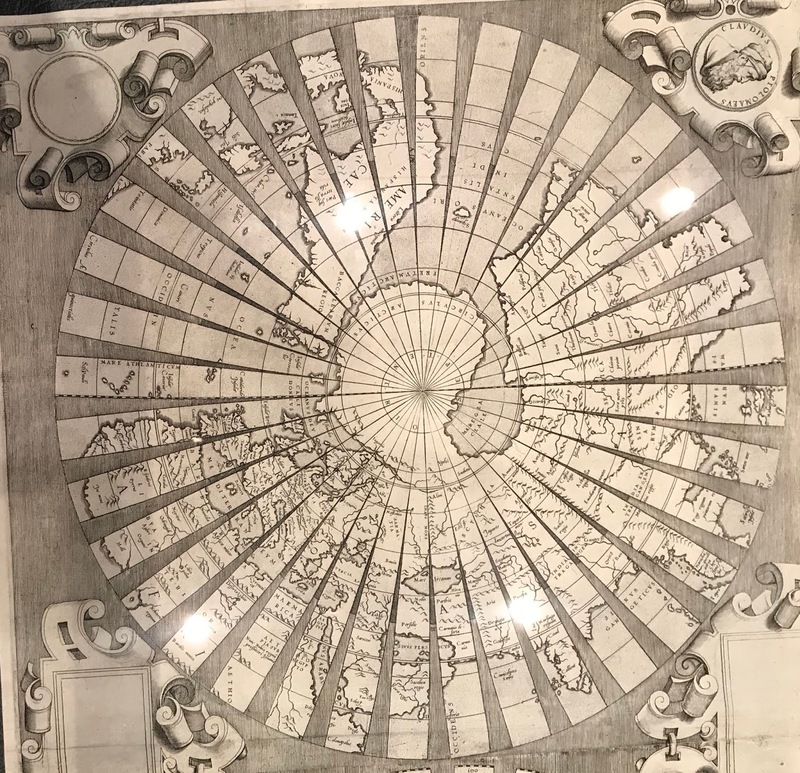 This could be a legal document or may have been used as a teaching tool for surveying. 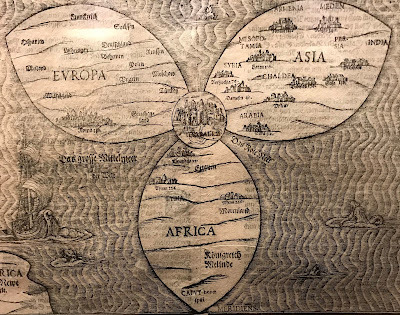 Here is a world map by Antonio Floriano (ca. 1555) using polar projections from the north and south poles. I took most of the following pictures on a phone so try to ignore the glare and reflections. Where possible I will provide links to better images online. Each hemisphere is divided into 36 globe gores and therefore it was likely to have been designed for making globes. A better image can be found at The Vintage Map Shop. Here is some detail from the eastern Mediterranean. 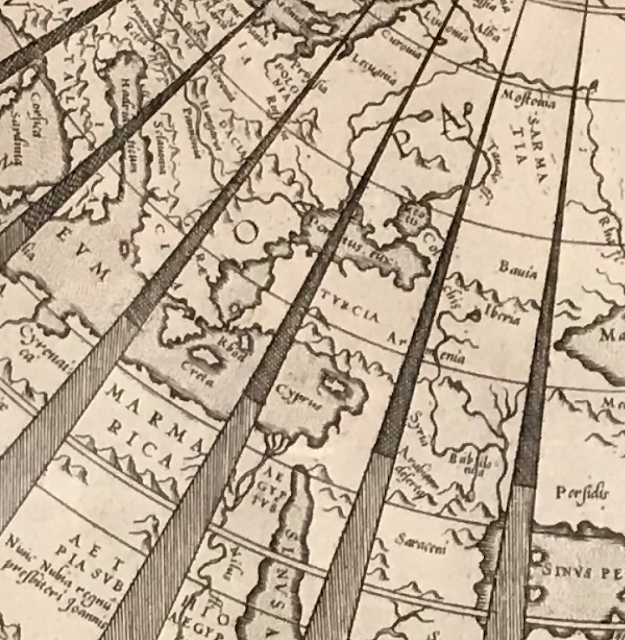 A very different world map from a similar era (1581) is Heinrich Bünting's World Map. 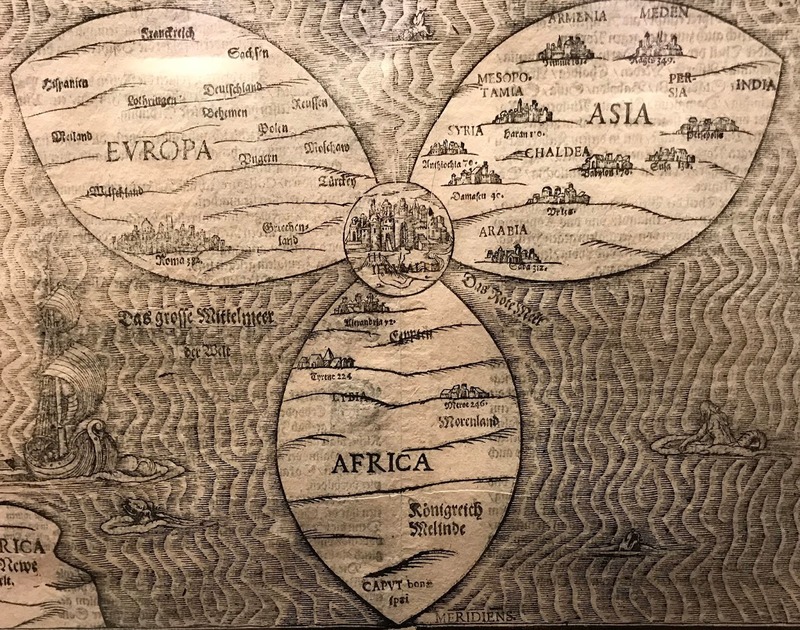 This is a figurative map meant to represent biblical geography with the cloverleaf shape possibly reflecting the Trinity. A colored version can be seen here. These maps represent the "Low Countries" of the Netherlands, Belgium and Luxembourg as a lion, partially because the most of the provinces of these countries featured lions on their coats of arms. I did not get a photo of the whole map so I used an online example above. I did, however get a nice detailed close up. I love the way the Rhine and Meuse Rivers flow over the paw like blood vessels. The paw scratching at "Colln" (Cologne) is a nice touch. 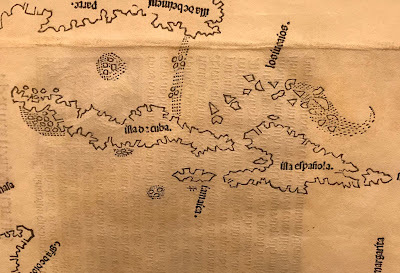 Here is a detail from Map of the Caribbean (Spanish Main) by Peter Martyr, 1511. Martyr was a friend to Columbus and the other explorers of the era. 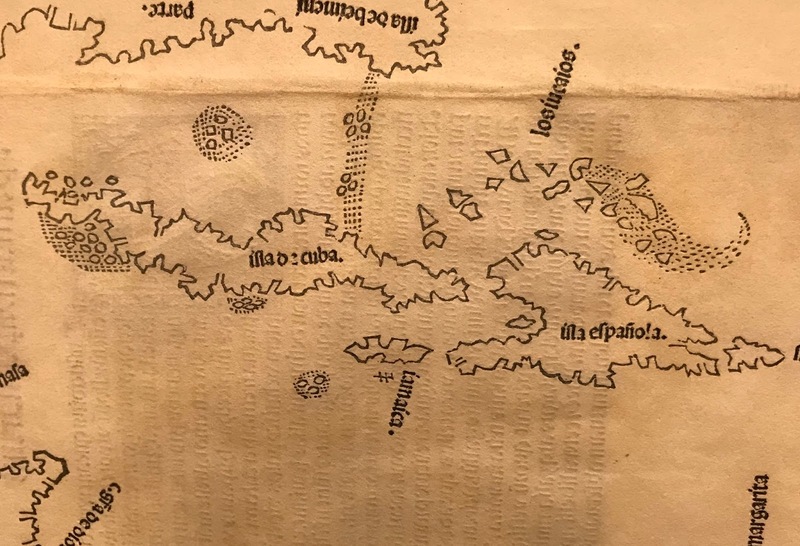 This is the first printed map devoted to the Americas. Martyr was also the first to have used the concept of a "western hemisphere" though he was not sure whether the mainland areas of South America were attached to India or not. Derived from confidential Spanish sources, it was very accurate for the time and also may have landed him in some trouble. 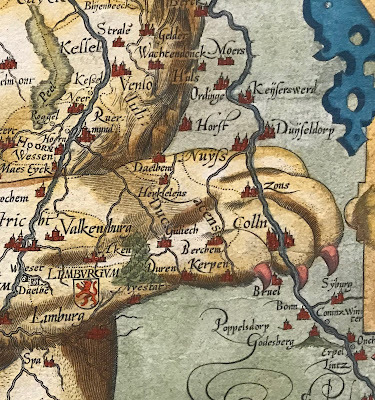 The same year, King Ferdinand outlawed giving maps to foreigners. I love the exaggerated detail of the coastlines. More to come in a future post - stay tuned! I enjoyed this post and love your blog. I linked some folks over here on my blog/podcast this week.